Tamoxifen is associated with a reduced risk of coronary heart disease (CHD). However, there are few reports on long-term effects. Using data from a large Swedish randomized trial of 5 and 2 years of adjuvant tamoxifen in women with early breast cancer, we here present results on morbidity and mortality from cardiac diseases during treatment and long-term after treatment. 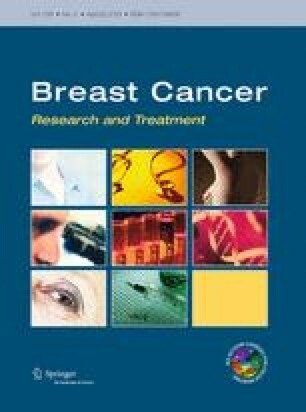 A total of 4,150 patients were breast cancer recurrence-free after 2 years. Data from the Swedish National Hospital Discharge Registry combined with information from the Swedish Cause of Death Registry were used to define events of disease. Hazard ratios were estimated using Cox regression. Patients assigned to 5 years in comparison with 2 years of postoperative tamoxifen experienced a reduced incidence of CHD [hazard ratio (HR), 0.83; 95 % CI 0.70–1.00], especially apparent during the active treatment period (HR 0.65; 95 % CI 0.43–1.00). The mortality from CHD was significantly reduced (HR 0.72; 95 % CI 0.53–0.97). During the active treatment, the morbidity of other heart diseases was also significantly reduced (HR 0.40; 95 % CI 0.25–0.64) but not after treatment stopped (HR 1.06; 95 % CI 0.87–1.30). Similar results were seen for both heart failure and atrial fibrillation/flutter. As compared to 2 years of therapy, 5 years of postoperative tamoxifen therapy prevents CHD as well as other heart diseases. The risk reduction is most apparent during the active treatment period, and later tends to diminish. The authors have no financial disclosures to declare.